PERFECT FOR 1031 EXCHANGE. ENTIRE BUILDING (UPPER & LOWER FLAT) AVAILABLE FOR QUICK SALE. BUY ONE OR BOTH. THIS LOWER FLAT (287 FOLLYHATCH) OR UPPER FLAT (285 FOLLYHATCH LISTING ID OC18282514). BEAUTIFUL 2 year NEW home 2 BLOCKS FROM the highly-acclaimed BEACON PARK K-8 school. Irvine's Portola High School is close by. LOTS OF UPGRADES in this open, one-level floor plan. 3 large bedrooms, 2 bathrooms and spacious Great Room. Beautiful wide plank hardwood flooring and upgraded bedroom carpeting. Fabulous k PERFECT FOR 1031 EXCHANGE. ENTIRE BUILDING (UPPER & LOWER FLAT) AVAILABLE FOR QUICK SALE. BUY ONE OR BOTH. THIS LOWER FLAT (287 FOLLYHATCH) OR UPPER FLAT (285 FOLLYHATCH LISTING ID OC18282514). 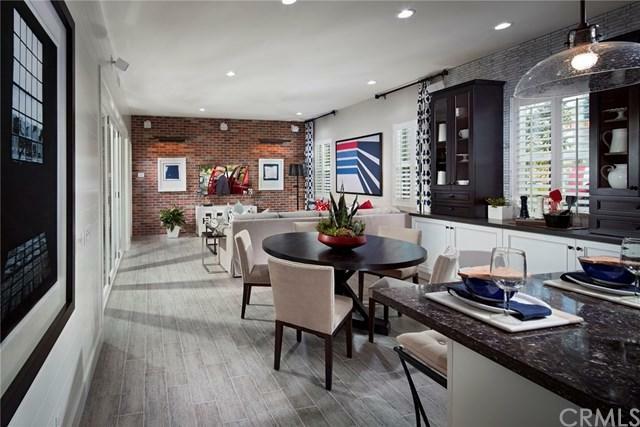 BEAUTIFUL 2 year NEW home 2 BLOCKS FROM the highly-acclaimed BEACON PARK K-8 school. Irvine's Portola High School is close by. LOTS OF UPGRADES in this open, one-level floor plan. 3 large bedrooms, 2 bathrooms and spacious Great Room. Beautiful wide plank hardwood flooring and upgraded bedroom carpeting. Fabulous kitchen has Quartz Island with BREAKFAST BAR SEATING. Shaker Thermofoil Satin White Cabinets and Quartz counter tops with full Trifecta Blend West End White backsplash. Upgraded SS GE appliances INCLUDING 3-DOOR REFRIGERATOR AND WASHER AND DRYER in the indoor laundry room. 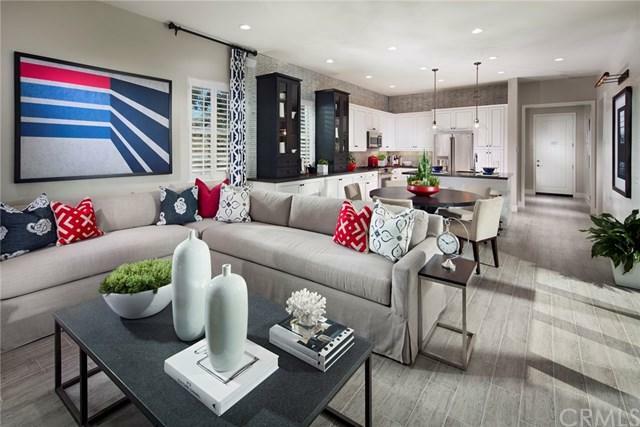 9-foot tall ceilings with recessed lighting throughout. Tall baseboards and tall interior panel doors. Custom window coverings throughout. 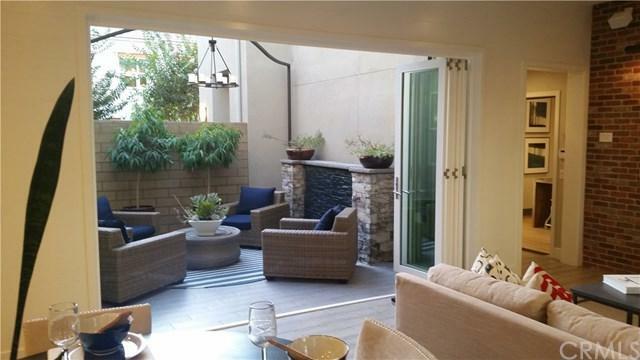 Large enclosed private courtyard with full wall-width stacking glass doors and barbeque gas outlet. Custom Master Bathroom with huge walk-in closet. Wall mounted TV prewire in Great Room and Master Bedroom. This beauty is a MUST SEE! THE PICTURES SHOWN HERE ARE OF THE MODEL. 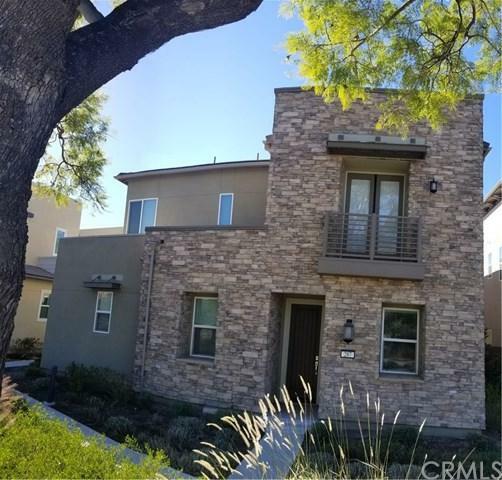 GREAT PARK NEIGHBORHOOD with lots of parks, 3 pools, Covered Sport Courts, wonderful Children's Play Areas, the Great Lawn, Outdoor Kitchen, Patios, a Bocce Ball Court and a network of walkways including walkable access to the OC GREAT PARK.